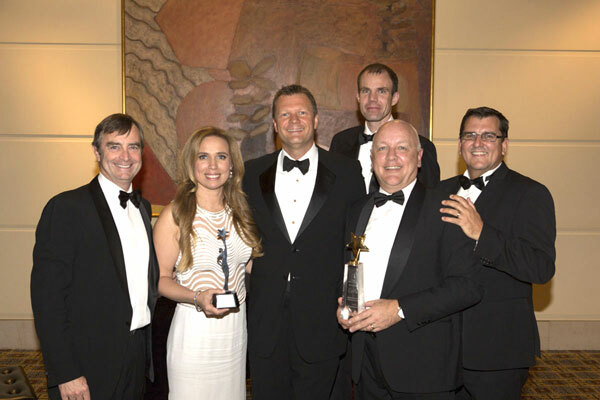 ISS Australia won a record-breaking eight awards at the annual Customer Service Institute of Australia (CSIA) Service Excellence Awards on 9 October 2013. “The CSIA Awards recognise the highest achievement in customer service, as judged by Australia’s peak customer service organisation,” said ISS Australia & New Zealand manager Dane Hudson. “Winning these awards demonstrates our commitment to providing customer service excellence and to our vision of becoming ‘The world’s greatest service organisation’,” he added. ISS submitted 12 nominations, for individuals or teams, and was successfully shortlisted in seven categories. ISS won four national Awards and four state Awards and was well-represented at the awards night, with more than 40 ISS employees invited to attend, including all the award finalists. ISS’ nominations were submitted from Melbourne Airport, Brisbane Airport, Brisbane Airport Kerbside, Adelaide Airport, Transport & Aviation and Corporate HR. “I’m really proud of what the HR and Learning Development team has developed over the last 18 months. We are also proud to be recognised in this important industry and will continue to deliver the highest standards of customer service for our clients,” Hudson enthused. The award criteria was based on the International Customer Service Standard to consider the balance between passion and process – from service, finance, operations and learning perspectives.